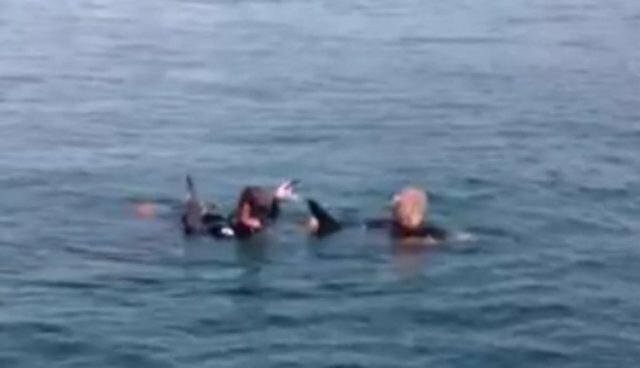 A dolphin found tangled in fishing line is once again free, thanks to two lifeguards who rushed to his aid. Rescuers say that before swimming away, the animal stopped to show what appeared to be a hint of gratitude. 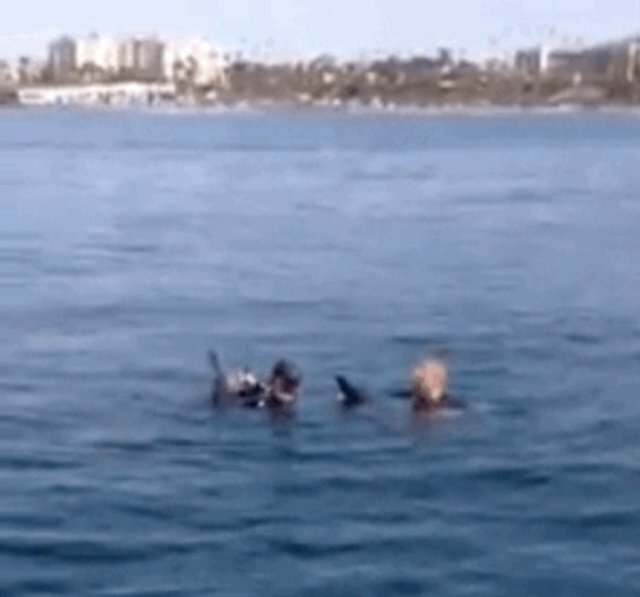 Following reports that a dolphin had been seen struggling in the waters near the Oceanside Municipal Pier in southern California, lifeguards Ryan Thompson, Greg Trebbe and Emile Lagendijk hurried out in a rescue boat to help, news station KGTV reports. After Thompson and Trebbe entered the water, they quickly discovered that the dolphin's tail was caught in a string of braided nylon rope. While Thompson patted and spoke to the animal to calm him, Trebbe worked to cut the line away. "I'm sure it wasn't super keen on being handled but it was very docile," Trebbe told U-T San Diego. 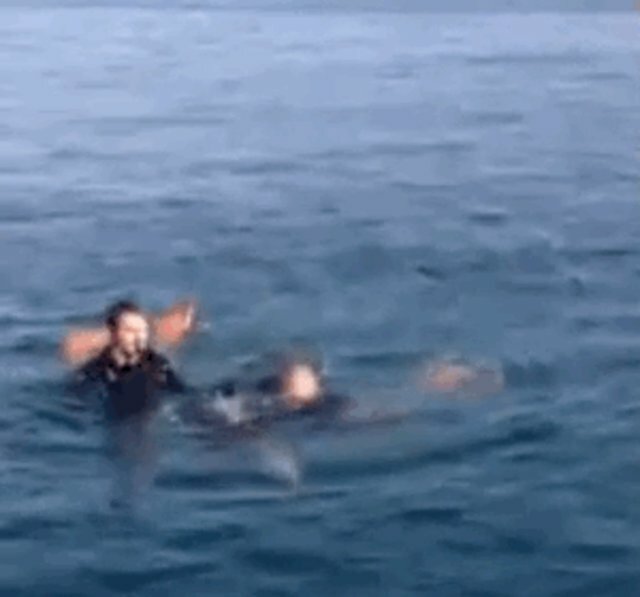 As video from the rescue shows, it took the two men only a few moments to free the dolphin, who only suffered a small cut from the fishing line. "We're good?" Lagendijk can be heard asking from the boat. "Let him go." Now free to swim away after the ordeal, the dolphin instead did something quite remarkable. "It did a quick 180 and it came between Greg and I," says Thompson. "I was about three feet from it, and it actually looked up at me and Greg, back and forth. Its head was kind of going from side to side. For anywhere from three to five seconds it was looking at us. Then it slowly swam away right underneath our boat." Thompson reportedly interpreted that simple gesture as a "thank you."